Catherine specialises in dispute resolution and practices as a mediator, facilitator, and conflict management consultant. Combining her legal background with strong communication skills, Catherine’s expertise has established her reputation as a leading commercial and workplace mediator. Catherine’s mediation experience includes working in Australia and internationally, in both the private and public sectors. Mediation is a timely, cost efficient and confidential way to resolve business disputes. Independent facilitation by the Mediator empowers the parties to self determine a resolution and way forward that works for them. Mediation often achieves outcomes that preserve and maintain an important commercial relationship. Catherine mediates commercial disputes in the public and private sectors and across a broad range of industries including large corporations, small business and not for profits. She is a member of several national Mediation Panels. Mediation helps resolve workplace conflict and improves workplace relationships. Unresolved conflict is a major cost to organizations and results in absenteeism, presenteeism, staff attrition and legal claims. Mediation is a proactive and preventative way to manage these costs and risks. management styles and communication breakdowns. Conflict Coaching supports workplace mediation outcomes and assists individual and teams rebuild and develop their working relationship. 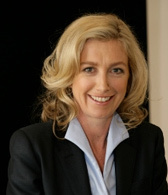 Catherine Davidson mediates workplace disputes across all levels of staff and works with government, professional services, universities, councils, hospitals, schools and small businesses to resolve workplace conflict and restore workplace relationships. Facilitation assists groups of people communicate effectively, brainstorm ideas, develop strategies and plan. The facilitator creates the process allowing the group to focus on the content. Facilitators manage conversation so everyone has a voice, there’s productive exchange and focused time management. Catherine Davidson has a reputation for her strengths based focus, positive engagement, and creative, strategic processes. Conflict is normal and can be a creative and productive way to bring about change in relationships and organizations. Creating a conflict competency is key. Catherine Davidson conducts “Understand and Manage Workplace Conflict” Workshops for HR executives and Managers. Reproduced with kind permission from Michael Leunig. 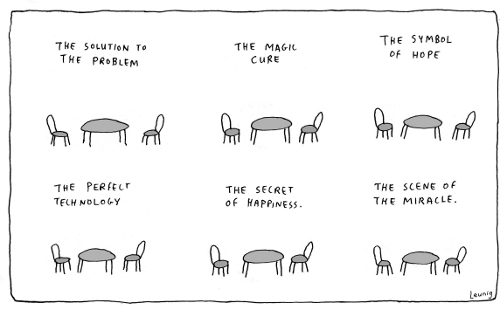 "Leunig's Table image resonates with me strongly as mediator. Each of these tables presents an opportunity. One that will be different for each person sitting at the table. What they each take away is theirs, but the table has provided the process and opportunity to talk, understand, negotiate and resolve. As the mediator at the table I enable the parties capacity to build on that opportunity and make the most of it. I aim to create a sense of possibility for them; projecting a real and genuine confidence in their ability to create a workable outcome."